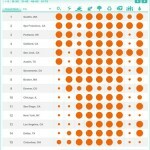 NYC Ranked 12th Most Sustainable City in U.S. I was surprised to hear that in a list recently released by the NRDC, New York was ranked as the 12th most sustainable city in the U.S. That isn’t such a terrible spot to be in, but I assumed that our density and public transportation would have been enough to give us a formidable leg-up on the competition and put us near the top! Of course, the criteria for the rankings aren’t just about plain old measures of sustainability. They specify the progress various cities are making toward sustainability. Does this mean that we are resting on our laurels, New York? 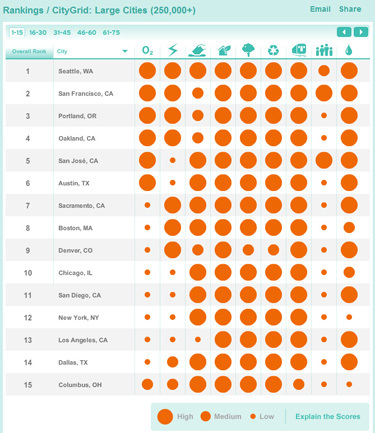 You can also check out coverage of the rankings on the Grist.